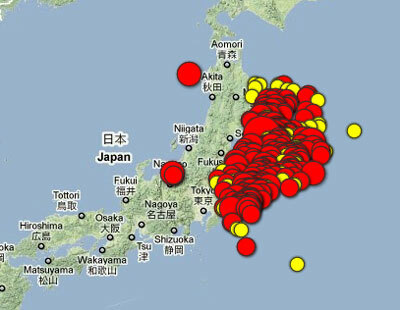 Today at 2:46PM in Tokyo a massive 8.9 earthquake occurred off the coast of Japan. That was at 10:46PM here, or just about as I was composing my ZZZzzz post. This is one of the most powerful earthquakes ever recorded, and it has triggered tsunami waves all over the Pacific Rim. 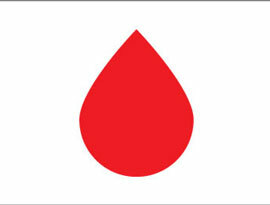 I won't try to be a definitive news source, all I can say is wow, my heart and head go out to all those poor people. Looking at the pictures and watching the movies, the devastation is unbelievable. And check out these aftershocks, many of which would be considered major earthquakes in their own right... wow. The impact of this disaster will be felt in other ways too; economically, and politically. There will be calls for better prediction systems, and better recovery. There will be finger pointing. But the ground truth is that there are big forces we cannot control.